Kitomba’s Xero integration gives you the ability to quickly and accurately send your cash drawer reconciliation from Kitomba to Xero. To be able to use our integration, you need to use Xero’s Standard or Premium package. Do you use cash based accounting? Currently Kitomba’s Xero integration only supports cash based accounting. If your business uses accrual based accounting you’ll be unable to use the Xero integration. If you’re unsure which accounting method you use or should use, check your Xero financial settings or talk to your accountant or financial advisor. Do you want your cash drawer reconciliation sent to Xero? When you use our Xero integration, your cash drawer reconciliation will be recorded in Xero as sales figures. As there are other ways to record your sales figures in Xero, you may prefer to use an alternative method. We recommend talking to your accountant or financial advisor for advice. Do you balance your cash drawer every day? Our Xero integration requires you to complete a cash drawer reconciliation every business day, so if you don’t already, you will need to start doing so. To understand how to do this correctly visit our support guide. Who’s responsible for balancing your cash drawer? It’s vital the correct information is sent from Kitomba to Xero, so you’ll want to ensure the person balancing your cash drawer and sending it to Xero understands how to do so. Are you happy to potentially make changes to your Kitomba payment types and Xero account settings? 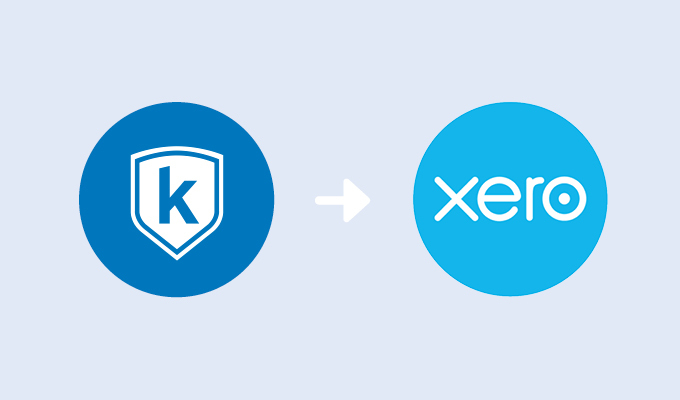 As our Xero integration works by creating links between your Kitomba payment types and Xero accounts you may need to make changes to ensure they match. How will you implement Kitomba’s Xero integration into your business? If you use our Xero integration it may require you to make some changes to your processes and accounting practices. You should speak with your financial advisor or accountant and discuss how this integration might affect your business; such as your end of day processes, bank reconciliations, and GST and tax reporting. Are you experienced in using Xero? Both Xero and the integration set up can be a little complicated, so if you’re not experienced in using it we recommend asking your accountant, financial advisor or a Xero expert to help you. This will give you peace of mind that your financial information will be correct and systems are working as they should. If you’re still unsure whether Kitomba’s Xero integration is right for you, we recommend talking to your accountant or financial advisor. Visit our blog to learn more about Kitomba’s Xero integration and how to get set up.